Eric Hobsbawm | What would George think? Professor David Feldman pays tribute to Professor Eric Hobsbawm. Eric Hobsbawm – or, rather, E.J. 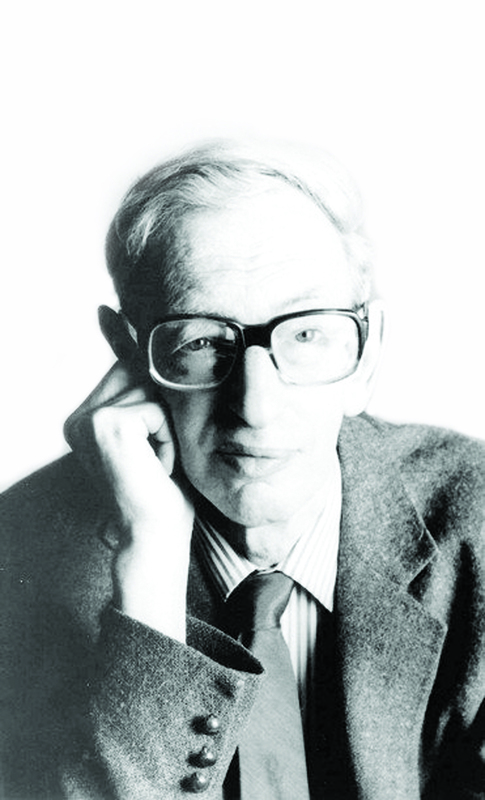 Hobsbawm as I first knew him – was unavoidable from the moment I had any ambition to think seriously about history. I bought Industry and Empire – Eric’s crystalline economic history of Britain from the industrial revolution to the mid-twentieth century – at the very start of my sixth form career and it was supplemented, inevitably and quickly, by The Age of Revolution. But it was another twenty years before I met Eric. 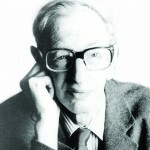 I had recently arrived at Birkbeck College as a history lecturer, excited by the department’s connection with the Hobsbawm name. By then Eric had retired from teaching but he was still a regular presence in the department, collecting mail, chatting to the secretaries and gathering company for lunch in the college canteen. It was immediately clear that Eric inspired affection as well as respect. This was interesting. Grand old historians, in my experience, had turned a more rebarbative face to the world. Eric was a model of how to grow old well. His interests remained omnivorous. Lunch conversation would usually begin with him asking something like, ‘what are you working on these days?’ I would tell him. Invariably, Eric would set off convinced he knew just as much, or more, about the subject as I did. Invariably he was right. He was quiet on just one occasion. I had been looking at nineteenth-century nonconformist Christianity. ‘That’s not something I ever much looked at,’ he replied. And we left it at that. The history of nationalism marked the limits of Eric’s sympathy but not of his interest and he wrote with insight on the subject. The history of religion, perhaps, marked the limits of both sympathy and interest for him. In 2003, Eric was awarded the Balzan Prize for his work on the history of Europe in the twentieth century. The honour gave him almost a quarter of a million pounds to spend on a research project of his own choosing. Eric chose as his subject the reconstruction of Europe in the immediate aftermath of the Second World War and he asked Mark Mazower and me to direct the project. I remember meeting Eric for a drink and his insistence that we examine the process of physical reconstruction: the bricks, mortar, steel and concrete. This was easier said than done. That sort of economic history is less practiced now than fifty years ago. More colleagues now write about the history of citizenship, culture and identities – what Eric would once have called the superstructure – than about the history of material life. Yet this was a moment when Eric was admirable. Above all, there was his principled and clear-sighted historical vision. For Eric the research project was important because it would explore how communism as much as capitalism contributed to the recreation of Europe from the ashes of war. There was also his insistence, both obstinate and luminous in the face of intellectual fashion, on the importance of economic history. And, equally apparent, was Eric’s consideration and curiosity. He had made his intellectual point and Mark and I respected it as much as we felt able. But it did not limit us and Eric never protested. He was an ideal presence: appreciative, engaged and ready to intervene sharply at the workshops and conferences we organised. I had not always revered Eric in the way I came to regard him over these last two decades. Having read him in the sixth form, in my first term as an undergraduate ‘Hobsbawm’ was there again. I had to write an essay on the living standards of workers during the industrial revolution. Eric was at the heart of a dispute which combined an ideological charge with an approach that, at the time, I found dry and excessively technical. As a graduate student I encountered Eric in person for the first time, albeit across a room. Living in London I sometimes attended his seminar at the Institute of Historical Research. One particular afternoon I remember. The paper was given by Raphael Samuel and the sight of Eric and Raphael side by side, and my angle of vision from the corner of a packed room, led me to wonder why it was both these Marxist historians had adopted extravagant versions of the Bobby Charlton comb over. Eric, then, was inescapable but in common with many others of my generation I was more attracted to the work of more romantic Marxist historians such as Edward Thompson. In recent decades, as the appetite and capacity of historians to account for change in the long term has diminished, Eric’s contribution has appeared all the more distinctive and magnificent. The degree of austerity, the refusal of sentimentality, all of which I had found a little off-putting when a student, now appear among his great strengths as a historian. As he acknowledged in his 1993 Creighton Lecture, as a Communist he was on the losing side of history. Movingly he tried to recuperate as a historian what had been lost politically. Winners, he suggested, rarely asked the interesting questions. How could they? Their victory so often seemed right or inevitable or both. In his last decades, when I knew him, having lost, Eric was able to ask how it was things turned out the way they did.